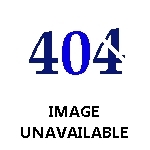 Here you will find a collection of the World's Best Recipes. For anyone that may not know, the BEST way to make hard-boiled eggs is in the OVEN! Place the eggs in a muffin tray so they do not move around, turn the oven to 325 degrees, pop in for about 25-30 minutes and remove! Not only are they tastier, but they also are much easier to peel!" First of all be sure to read the book that comes with your crock pot or slow cooker. Slow Cookers come in sizes from one quart to six quarts. Be sure you buy yours with the removable liner. Choose the right size slow cooker for the recipe, and always fill your slow cooker at least half full for best results. 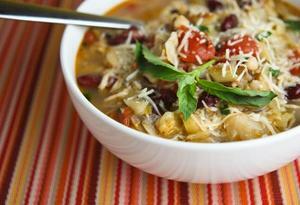 To make a favorite recipe in a slow cooker just reduce the liquid by half except when your making soups. Milk and other Dairy products may separate during periods of long cooking so always add those last. Use half the amount of herbs you normally would. Add your spices during the last hour of cooking time. Always cook with the lid on and resist the urge to peek except when it's time to stir. Here I'm going to tell you how to make some delicious bread and butter pickles. These are delicious and made in the refrigerator. Once you make them wait at least a week or so before you start eating them if you can. 1. Two Large Sweet Onions Sliced Very Thin. 2. One Table Spoon Mustard Seed. 3. One Teaspoon Ground Turmeric. 4. One Tablespoon Celery Seed. 5. One Cup White Granulated Sugar. 6. Three Cups White Vinegar. 7. One Third Cup Ground Sea Salt. 8. Six Large Cucumbers Sliced Thin. In a large sauce pan combine all your ingredients but the cucumbers and heat till boiling. Have your cucumbers cut up in a large bowl and then pour the boiling mixture in over your cucumber slices and stir to mix well. 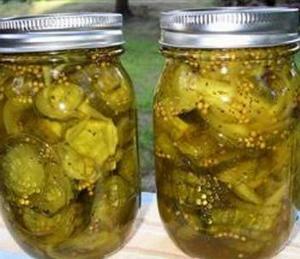 Have your jars, lids, and rings boiled in a separate pot of boiling water and pack your bread and butter pickles in the jars while they are still hot. Put the hot lid and ring on your jar and tighten the ring down. Set your jars of bread and butter pickles there on the counter on a towel while they seal. You should hear a ping as your jars seal. Then put them in the refrigerator for at least a week or two before you start eating them. I guarantee you these will be some of the best bread and butter pickles you'll ever eat. 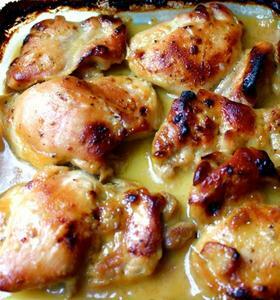 Here is truly the best chicken that you will ever eat and it's a really easy recipe to make also. 1. Eight Chicken Thighs With The Skin And Bone Removed. 3. Maple syrup- 1/4 cup , Be sure it's real not imitation. Put ingredients 2 - 4 in a bowl and mix it up very well with a wire whisk. 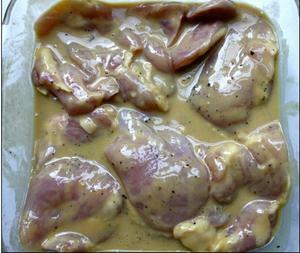 Put your chicken in a casserole dish and pour half of the marinade into the casserole dish over the chicken. Cover the dish with plastic wrap and put in the refrigerator for at least four hours. Bake your chicken in a 350 degree oven for about 45 minutes or until the chicken in the thicker pieces reaches a temperature of 165 degrees. It is very important that you baste the chicken about half way through the cooking with the left over marinade. When the chicken is nearly done sprinkle your pieces of chicken with rosemary. 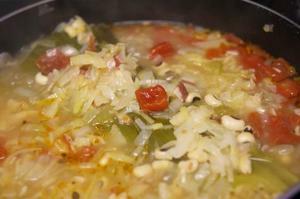 This is an excellent dish served with asparagus and yellow saffron rice. I really don't think you'll find a better tasting chicken anywhere. I cook this chicken this way and then I make it into delicious chicken taco's. This chicken is truly the best tasting chicken you will ever eat. 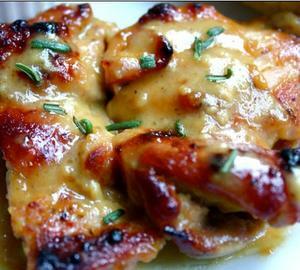 Click Here For Over 300 More Chicken Recipes! 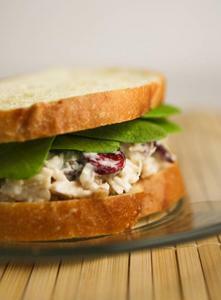 Click Here For Great Canning Recipes And Information! 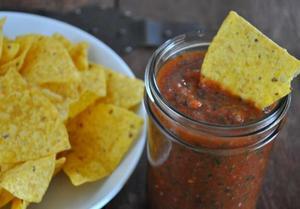 Here is one of the best and easiest salsa's that you'll ever make. The really great thing is that you can make this salsa now to serve this coming winter when garden fresh tomatoes aren't available. And this salsa tastes just wonderful. 1. Four Cups Peeled Diced Fresh Tomatoes. 2. 1- 10 oz can original Rotel Tomatoes and Chili's. 3. One Medium Sweet Onion Diced. 4. Two Tablespoons Minced Fresh Garlic. 5. Two Jalapeno's Seeded And Diced. 7. One Teaspoon Ground Sea Salt. 8. One Teaspoon Ground Cumin. 9. Small Handful Cilantro Washed. 10. Juice Of Two Limes. 11. Zest Of Two Limes. 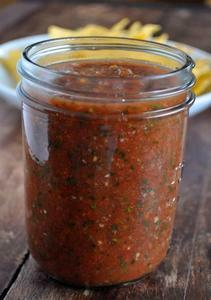 Put all your ingredients into your food processor and puree the salsa smooth. And nothing is written in stone in this recipe. If you want to leave something out or add something else feel free to do so. If your going to make enough of this salsa to can you'll want to heat your salsa to almost boiling and then set off the heat. Boil your jars, rings, and lids and then fill your half pint or pint jars with the salsa and leave about one half inch at the top of each jar. After you fill the jars and put the lids and rings on boil your jars of salsa for 10 minutes and then allow the jars to cool on a towel before you put them away. You should hear the jars pop as they seal. And then be sure to label your jars and date them so you know what you have. If you click the title of this post you'll find a recipe for delicious mango salsa. 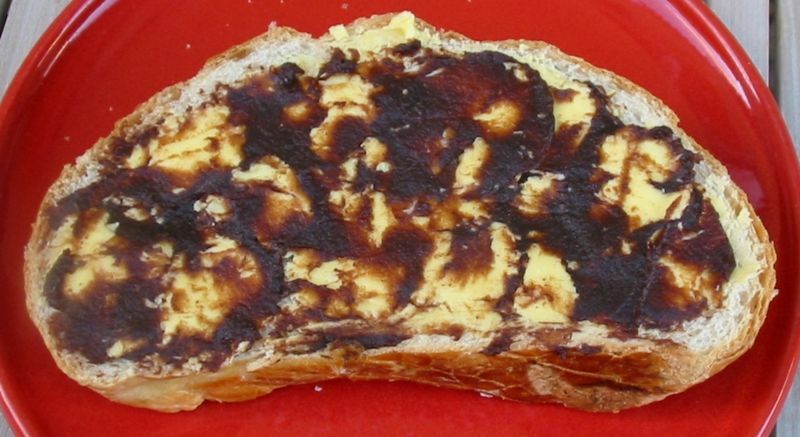 Apple Butter, It's a thick, sweet spread made by cooking apples, sugar, spices, and sometimes apple cider. Southerner's like me slather apple butter on toast, pancakes, and hot biscuits. How long you cook it is important. When done, the brown mixture should cling to the spoon, although this can really depend on how juicy your apples are. My Grandmother Hattie used to make apple butter every year from green apples that grew in our back pasture. But if you have them you can make apple butter from Granny Smith Apples and the apple butter you make will be delicious. 1. Eight Granny Smith Apples Peeled, Cored And Diced. 2. One Cup Apple Juice. 4. One Teaspoon Ground Cinnamon. Cook the apples and juice in a oven safe dish with a lid for thirty minutes at 350 degrees or until the apples are tender. Now stir until the apples are mashed. Stir in your sugar, and cinnamon. Bake at 275 degrees for about three hours stirring often. Then cover and chill and you'll have some of the best apple butter you'll ever taste. You can of course increase the recipe if you wish. And you really can use any type of apples you want to. Once you have your fresh apple butter made store it in the refrigerator until you use it up. Try it on pancakes for a tasty treat. In the bowl of a food processor, process the graham crackers and chocolate cookies to make crumbs. Mix together crumbs, sugar and butter and press into 9 inch glass pie pan. Bake at 350 for 10 minutes. 5. One Level Teaspoon Ground Sea Salt. 6. 4 egg yolks, lightly beaten in a medium bowl. 7. 4 ounces good-quality semisweet chocolate, finely chopped. 9. 3/4 teaspoon vanilla extract. 10. 3 tablespoons confectioners’ sugar. Cookie Crust – Prepared as directed above. Whisk sugar, 3/4 cup heavy cream, buttermilk, cornstarch and pinch of salt together in a saucepan off the heat. Place over medium-high heat, and bring to a boil, whisking from time to time for the sugar and cornstarch to dissolve and the mixture thickens, about 5 minutes. Continue cooking at a low boil for an additional 5 minutes, whisking constantly. Pour 1/2 cup of the hot mixture into the egg yolks and whisk thoroughly. Pour the egg yolk mixture back into the saucepan and whisk over medium heat until thoroughly combined and very thick, 1 to 2 minutes. Pour the mixture into a mixing bowl, and whisk in the chocolate, butter and vanilla. Continue whisking until thoroughly combined (mixture will be very thick). 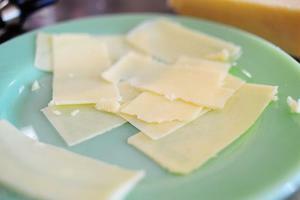 Cover the mixture with plastic wrap placed directly on the surface and refrigerate until cooled to room temperature. Place 1 3/4 cups heavy cream in a chilled mixing bowl and add the confectioners’ sugar. Beat until stiff peaks form. Gently fold about 1/4 of the whipped cream into the cool chocolate pudding mixture, then spoon the chocolate mixture into the prepared pie crust and refrigerate until firm and cool, at least 4 hours. 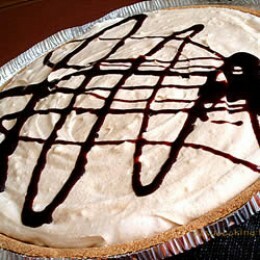 Refrigerate the remaining whipped cream until you are ready to serve the pie. I added some more powdered sugar to the remaining whipped cream before piping it on top. 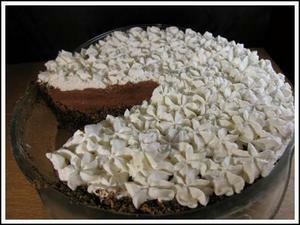 To me this is truly one of if not the best chocolate pie that you'll ever eat. Please go to the trouble to make your own crust because you'll love it. These are oh so delicious. 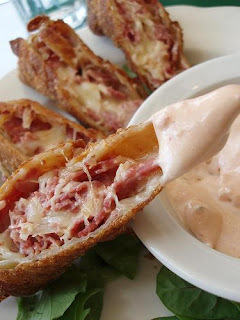 I love Reuben sandwiches so when I got this recipe I just had to try them. In case your wondering you'll need egg roll wrappers to make these delicious deep fried appetizers with. You need clean new oil to fry these in. 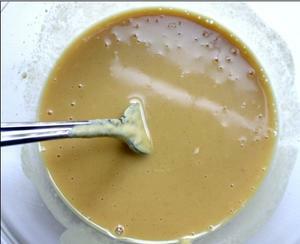 To make your dipping sauce combine the thousand island dressing, the mustard, the garlic, Worcestershire sauce, one teaspoon minced onion, and the Louisiana Hot Sauce. I do mine in the blender to get it all mixed up real good. 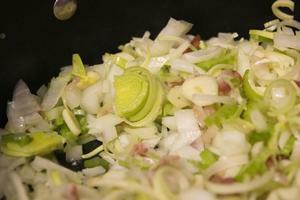 You want to run your corn beef through the food processor and cut it up coarsely. Now you'll want to combine your corn beef, the sauerkraut, cheese, and remaining onion and be sure that it all gets mixed up together real well. Place about two tablespoons of the mixture in the center of a egg roll and roll it up by the package directions. Seal your edges with a real well beaten egg. Deep fry your egg rolls in about three inches of hot oil until they are golden brown. 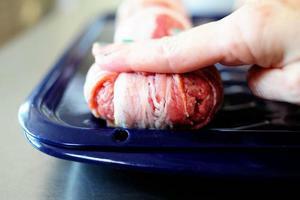 Drain well on some paper towels and then serve with the dipping sauce you made above. Here we have recipes that both use avocado and are both one of the best recipes that you'll ever eat or drink in your life. There's the best grilled cheese sandwich that you'll ever eat and two great versions for a smoothie with avocado in it. These are so delicious. If your looking for one of the best recipes ever for a delicious refreshing cold drink then you've found it here. It's called Watermelon Strawberry Lemonade and it's oh so delicious. 1. Eight Cups Seeded Cut Up Watermelon. 2. One Cup Strawberries Hulled And Cut Up. 3. One Half Cup Fresh Lemon Juice. 5. Two Cups Seven Up. Now you'll want to combine all the ingredients and blend smooth. You may have to do it in two batches. You'll end up with one of the most tasty beverages you'll ever drink. You can keep it in the refrigerator for up to three days but I doubt if it will last that long. I think it's one of the tastiest beverages I've ever had. And above is the beverage you'll end up with. To me this is one of the tastiest beverages that I've ever made or tasted. And it's really easy to make. And guess what. Kids just simply love this wonderful beverage. My Mom taught me how to make lasagna when I was about 16. Since then I've made lasagna many differn't ways and people keep asking me for a great lasagna for the crock pot. Lasagna has to have the right ingredients if your going to end up with a taste that everyone is going to love. I usually make my own sauce but here were going to go with a Prego brand meat sauce which comes in a jar at your local supermarket. If you can't get Prego then buy a good quality meat sauce in a jar already made and almost any brand will work. You get what you pay for so your going to want a good quality sauce. Lasagna has to have Ricotta Cheese, Mozzarella Cheese, Italian Sausage, Green Bell Peppers, Ground Beef, and Mushrooms to be good. Sure you can make it some other way but you won't have the flavor that you'll have if you go with the right ingredients. 1. A Large Box Lasagna Noodles. 2. A Large Carton Of Fresh Button Mushrooms. 3. Two Large Green Bell Peppers. 4. One Pound Carton Ricotta Cheese. 5. One Pound Shredded Mozzarella Cheese. 6. Olive Oil To Saute Your Veggies In. 7. Good Quality Vegetable Cooking Spray. One Large Jar Prego Sauce With Meat. To start with pour about two tablespoons of olive oil out into a large skillet and then dice your button mushrooms and green bell peppers up and saute them in the olive oil. You of course have to take the seeds out of your bell peppers and dice your bell peppers up. Once the peppers and mushrooms are cooked mix them with the Prego Meat Sauce. Before you put anything into your crock pot spray the inside of it well with the vegetable cooking spray. 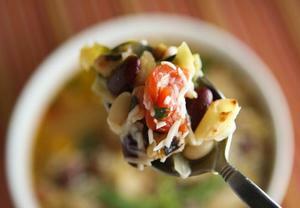 In a bowl combine your Ricotta Cheese and the shredded mozzarella cheese. You want it to be well mixed together. 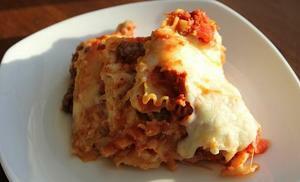 You'll want a six quart crock pot or slow cooker to make this crock pot lasagna in. And no you do not need to cook your lasagna noodles ahead of time. You can use regular lasagna noodles and it will work perfect as the liquid and steam will cook the noodles while the crock pot lasagna is cooking. Be sure to spray the inside of the crock pot with vegetable cooking spray before you put anything in it. In layer one your going to want to put a layer of the meat sauce with the vegetables in it. Make your layer about one inch thick. In layer two put a layer of the lasagna noodles. You'll have to break part of the noodles to get them to fit in a layer in the crock pot. 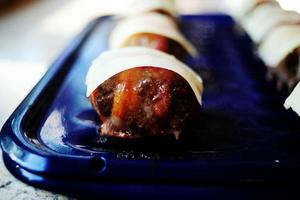 In layer three you want to put a layer of the mixed ricotta cheese and mozzarella cheese. And yes use ricotta cheese. Cottage cheese goes on salads. Not in lasagna. Repeat your layers finishing up with a layer of cheese on top. Put the lid on your crock pot and cook for six hours on high. Guess what after six hours you'll have the most delicious crock pot lasagna you'll ever have in your life. And your lasagna noodles will be perfectly cooked. 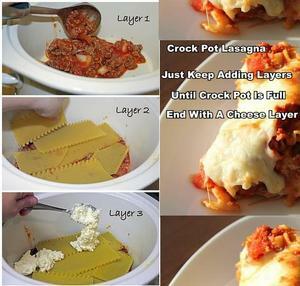 No one makes a better crock pot lasagna than I do and if you follow along with the recipe you can to. 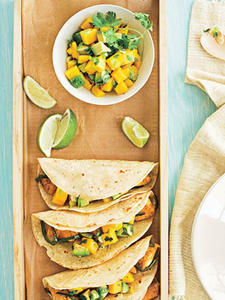 These fish taco's with the mango salsa are some of the most delicious fish tacos that you'll ever eat in your life. 1. One Peeled Mango Chopped Into Small Pea Size Pieces. 2. One Avocado Peeled And Chopped Into Small Pea Size Pieces. 3. One Small Bunch Green Onions Including Tops Diced Fine. 4. One Fourth Cup Cilantro Leaves Chopped Fine. 5. Two Jalapenos Seeded And Chopped Fine. 6. Four Tablespoons Fresh Lime Juice. 7. One Large Tomato Chopped Very Fine. Mix all your Mango Salsa ingredients together in a plastic container with a lid and place in the refrigerator for at least four hours before using. It will be better if you put it in the refrigerator over night. You'll want to heat your flour tortillas in the microwave before you put them together. You'll want to cook the fish just before you put the fish tacos together. Put your deep fried tilipia on the flour tortilla that you've heated in the microwave and then put a big spoon of the chilled mango salsa on the fish taco and fold the flour tortilla over and serve. I guarantee you that people will love these. To me they are the best fish tacos you'll ever eat. 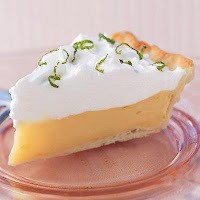 If you like Mango's like I do then you just have to make this delicious recipe for Mango, Lime, Ice Box Pie. I promise you that it's one of the best recipes using Mango that I've ever found. 2. Three Fourths Cup White Granulated Sugar. 3. One Half Cup Fresh Lime Juice. 4. One Fourth Cup Cornstarch. 5. One Fourth Cup Orange Juice. 7. Two And One Half Tablespoons Butter. 8. Two Teaspoons Grated Lime Zest. 9. You Will Want One Regular Pie Shell Already Made In Pie Shell. 1. Three Large Egg Whites. 2. One Level Teaspoon Ground Sea Salt. 3. One Half Cup White Granulated Sugar. 4. One Fourth Cup Water. 5. Lime Zest For Garnish. Prepare and bake Piecrust in a 9-inch pie plate. Cool completely on a wire rack. To prepare filling, combine nectar and next 5 ingredients (nectar through eggs) in a large saucepan, stirring with a whisk. Bring to a boil over medium heat, stirring constantly. Cook 1 minute, stirring constantly. To prepare meringue, place egg whites and salt in a large bowl; beat with a mixer at high speed until soft peaks form. Combine 1/2 cup sugar and water in a saucepan; bring to a boil. Cook, without stirring, until candy thermometer registers 238°. Pour hot sugar syrup in a thin stream over egg whites, beating at high speed until stiff peaks form. Spread meringue over filling; garnish with lime zest, if desired. 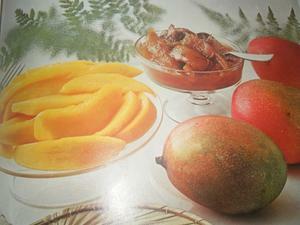 Yes We Have A Huge Collection Of Mango Recipes For You To Understand. Everything From Mango Jam To Mango Corn Relish. And all these recipes are really delicious. Be sure to check out these wonderful mango recipes now. 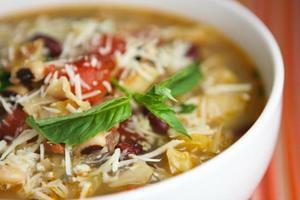 Here were going to make one of the most delicious Minestrone Soups that you will ever eat. And it's really easy to make. Just follow along with the below simple instructions and photos and before you know it you'll be eating this delicious soup. Some people might think Minestrone is boring but I guarantee you that this version is anything but boring. It's just simply packed with flavor and if you'll follow along you'll be eating this wonderful Minestrone Soup in no time at all. Let Me Tell You I Just Ate A Bowl Of This Soup And It Was The Most Wonderful Thing That I Have Ever Tasted. I Love Beans. 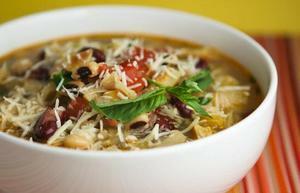 But The Taste Of This Minestrone Soup Is Just Wonderful. 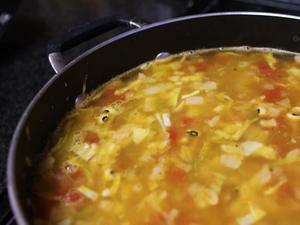 You will want to start out by heating two tablespoons of olive oil in a large soup pot. In case you don't know Pancetta is Italian Bacon. 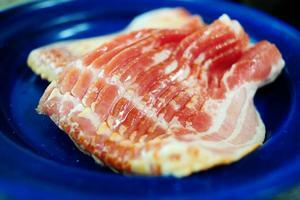 You can use lean regular bacon if you can't find Pancetta. Into That Olive Oil You Want To Put. 1. One Fourth Cup Pancetta Finely Diced. 2. One Large Onion Very Finely Diced. 3. Two Celery Ribs Very Finely Diced. 4. Two Tablespoons Fresh Minced Garlic. 5. One Leek Very Finely Minced. 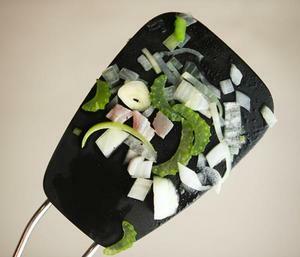 Use A Rubber Spatula To Keep Your Veggies Stirred While They Are Cooking. Cook Them Until They Are Soft. You Don't Want Them To Brown But You Do Want Them To Get Soft. Keep Your Heat Down And Stir Often. 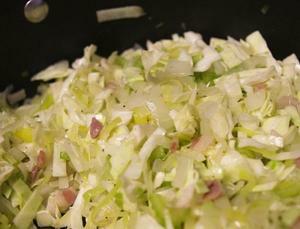 Now Add A Half Pound Of Coarsely Chopped Cabbage And Keep Cooking Stirring Often Until The Cabbage Is Cooked Soft. 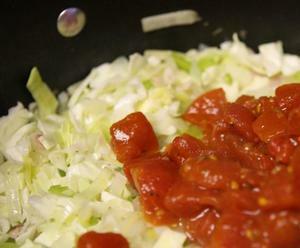 Now You Will Want To Add A Fourteen And A Half Ounce Can Of Diced Tomatoes And Cook For At Least Seven Minutes More. Also At This Time Add In One Tablespoon Fresh Chopped Thyme, One Tablespoon Of Fresh Chopped Parsley, And A Bay Leaf Or Two. Now You'll Want To Cover Your Soup Pot And Simmer Until The Black Eyed Peas Are Tender Which Will Take About Thirty Minutes. 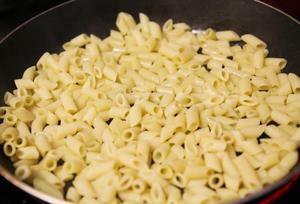 Cook Four Ounces Of Penne Pasta Until Soft But Not Over Cooked And Wash It Well Under Cold Running Water. Now Add A Fifteen Ounce Can Of Red Kidney Beans And All Their Juices And The Cooked Pasta To The Soup Pot. Now Ladle Your Soup Into Bowls And Serve With Grated Parmesan Cheese Sprinkled Over The Top Of The Bowls Of Minestrone Soup And Monte Cristo Sandwiches. You Now Have A Meal Fit For A King. And There Is What Your Finished Minestrone Soup Should Look Like Garnished With Fresh Grated Parmesan Cheese And A Sprig Of Fresh Basil. 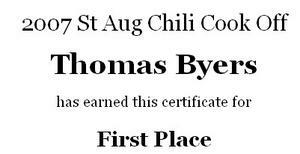 Thomas Byers Has Been An Award Winning Chef For Almost Fifty Years And He Has Won Over $50,000 In Chili Cook Off Contests Including Winning The West Texas Regional In 2001. In 1998 Thomas Byers Was Named Number 3 In The Top 10 Chefs In Florida. Thomas Byers Writes Under The Pen Name " Crazyhorsesghost " at Hub Pages and Thomas has Almost 1500 Published Web Sites At Hub Pages. Be Sure You Check Out His Writing There. Can you imagine anything with Reese's Peanut Butter Cups, Chocolate , and Cheesecake that wouldn't be good. If there ever was a recipe for a dessert that is sinful then this is it. You won't find a better bar cookie or brownie anywhere that is going to be better so why don't you read on and get busy making this tasty dessert now. You Want To Start By Pre-heating Your Oven To 325 Degrees. You'll Want To Puree 7 Full Size Graham Crackers And Puree Them Smooth As In Above Photo. Use A Measuring Cup Or Glass To Press The Graham Cracker Crust Out Flat And Pack It Tightly. In A Large Bowl Beat Two 8 Ounce Packages Of Cream Cheese Until It Is Very Smooth. Scrape The Sides Of The Bowl Down Frequently. Now Gradually Beat In Two Thirds Of A Cup Of Granulated Sugar Until The Mixture Is Well Combined. You'll Now Want To Beat In Two Large Eggs, One Fourth Cup Of Sour Cream, And One Tablespoon Vanilla Extract Being Sure To Let All Your Ingredients Get Very Well Mixed Together. Now You'll Want To Cut Eight Reese's Peanut Butter Cups Up Into Small Pieces And Mix Them Into The Cheese Cake Mixture You Have In The Bowl. Be Sure They Get Mixed In Well. Now You Will Want To Pour The Cheese Cake Ingredients In The Bowl Into The Prepared Pan You Have Prepared Above. Be Sure To Scrape All The Ingredients Out Into The Prepared Pan. You'll Now Want To Bake The Pan Until The Edges Are Done But The Center Will Jiggle When You Shake The Pan. This Will Take 35 To 40 Minutes And You'll Want To Be Sure To Rotate The Pan Around About Half Way Through The Baking Time. Allow The Pan To Cool To Room Temperature And Then Cover With The Over Lapping Tin Foil And Refrigerate Over Night. Above Is What They Will Look Like Before You Cut Them Up. You'll Want To Cut Up More Reese's Peanut Butter Cups To Go On Top After You Drizzle The Melted Bittersweet Chocolate On. The Next Day You'll Want To Melt Two Ounces Of Bittersweet Chocolate In A Microwave Safe Bowl And Drizzle It Over The Top Of Your Reese's Peanut Butter And Chocolate Cheesecake Bar Cookies. Cut Your Bar Cookies Up Into Small Bars And I Promise You People Will Love These. Search Amazon Below For Items You May Need To Make These Delicious Bar Cookies. 3. Reese's Peanut Butter Cups. 4. Stand Mixer With Bowl. You can make these delicious bacon sliders rather easily and the flavor of these mini burgers is just wonderful. If you'll follow along I'll teach you exactly how to enjoy these wonderful mini cheeseburgers that are just packed with flavor. With the spices, the hamburger, the cheese and the bacon your going to end up with some of the most delicious mini bacon cheeseburgers that you'll ever taste. 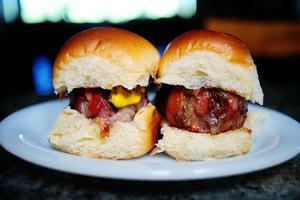 I always use the big dinner rolls for my hamburger rolls for my mini bacon sliders. Just check on the bread aisle at your local supermarket and you'll most likely find a dinner roll that will work perfect for your slider hamburger roll. I know I always do. 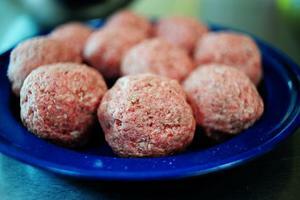 With three pounds of hamburger meat your going to want to add. 1. One Tablespoon Ground Sea Salt. 2. One Tablespoon Ground Black Pepper. 3. One Tablespoon Southwest Seasoning. 4. One Tablespoon Lemon Pepper. 5. One Tablespoon Minced Garlic. 6. Two Tablespoons Soy Sauce. 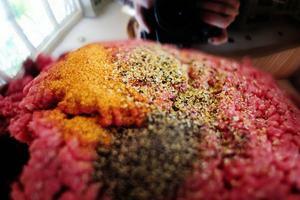 Mix all of the ingredients into the ground beef very well being sure that everything gets very well mixed up together. Roll your hamburgers into mini two ounce patties to fit inside your little dinner roll hamburger buns. Your going to need a good quality bacon to wrap your two ounce burgers with. 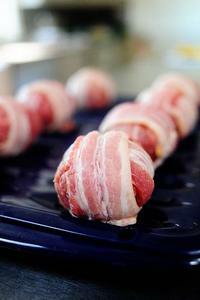 You want to wrap each little two ounce hamburger patty with bacon before you cook them. Once you have wrapped each little two ounce hamburger patty take your fingers and slightly flatten the burger so it will cook better. These mini bacon sliders are being cooked on a oven roasting pan but you can choose to cook them either in the oven on a roasting pan or you can cook them on a grill over indirect heat. Indirect heat means you cook on one side and have your charcoal fire on the other side. You want to prepare your grill before you cook on it by greasing your grill racks well so your meat won't stick to the grill racks. 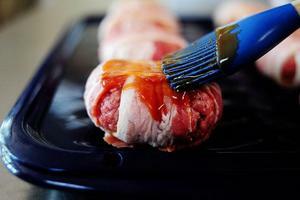 If your cooking your mini bacon sliders on a broiler pan in the oven you can go ahead and brush your mini bacon sliders with the below barbecue sauce when you put them on the pan and slide them into the oven but if your cooking on a charcoal grill your going to want to wait until the last 10 minutes of your cooking time. When you know your mini bacon sliders are done your going to want to lay your cheese slices over each little delicious bacon slider and allow it to melt. Whether your cooking them in the oven or on a charcoal grill be sure to keep a close eye on them once you put the cheese on them. And there you have two completed mini bacon sliders and on the one is a delicious homemade coney sauce and on the other is simply ketchup and mustard. You'll want to be sure to offer coney sauce, slices of sweet onion, sliced fresh jalapenos, tomato slices,lettuce leaves, and etc on the side to go with your mini bacon sliders. You may also want to offer potato salad,slaw,and macaroni salad as sides for your mini bacon sliders. 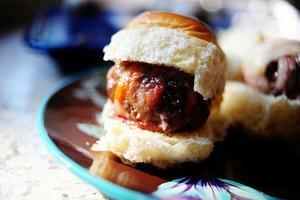 I guarantee you that people will love these wonderful mini bacon sliders. The bacon just gives the burgers a flavor you aren't soon going to forget. They are just honestly some of the most delicious little burgers you'll ever eat. 3. Two Cups Brown Sugar. 5. One Tablespoon Red Pepper Flakes. Put your barbecue sauce on in a pot and cook it over medium heat until you see the sauce thicken and come together. You can keep this barbecue sauce in the refrigerator for up to a month. 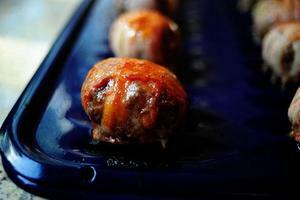 This barbecue sauce is delicious on the mini bacon sliders, chicken, and pork. I also like it on ribs. Just be sure to cook it down enough so that your sauce cooks and comes together. Search Amazon For Grill Pans Below. The recipes presented on this Blog are from Chef Thomas Byers who publishes on Hub Pages as Crazyhorsesghost. Thomas Byers has been a Chef for over 40 years. Toasting brings out the maximum flavor of the nut. If toasting a small amount, place the almonds in a small skillet and cook over medium heat, stirring often for 5-7 minutes or until golden brown. Larger amounts are best toasted in a shallow pan at 350 degrees for 5 - 8 minutes or until lightly browned stirring every few minutes. Always stay close and keep a close eye on almonds when toasting because you can over cook them in a hurry. 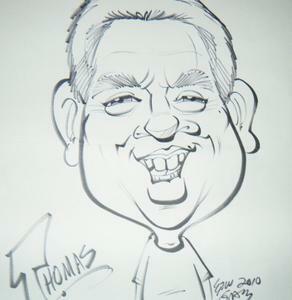 Thomas Byers who is the author of this Blog has been a award winning Chef for over forty years. 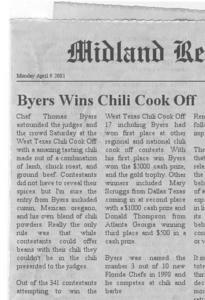 Byers has won many chili and barbecue cook offs over the years including the West Texas Chili Cook Off in 2001 and the North Florida Chili Cook Off in 2007. In 1998 Byers was named number 3 out of the ten best Chefs in Florida. He currently writes at Hub Pages where he shares many of his favorite recipes. Byers is currently working on a cookbook and he has many interests including cooking, the paranormal, and social justice. Be sure to check out his writing at Hub Pages.